In this article, we’re going to share 10 Instagram hacks to help you create better, more targeted posts in minutes! Regardless of your niche or industry, any Instagram hack we list here can help you take your profile to the next level. Got an account you find particularly inspiring? Or maybe you follow a specific influencer for tips on creating engaging content for your niche? 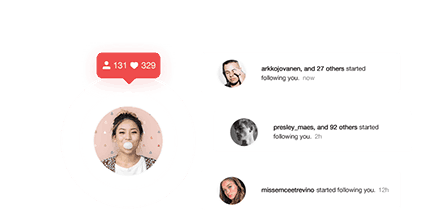 With post notifications, you can rest assured you never miss posts from your favorite users. Click the 3 dots at the top of their profile. Select Turn on Post Notifications. TIP: Encourage your followers to turn on post notifications for your account, especially if you’ve got some big upcoming news (like a live session or a specific post you want to get noticed). TIP #2: If you really want to hack the Instagram algorithm, you should probably drop a comment on each new post of your favorite accounts. Provided your favorite account is relevant to your niche, you will see increase engagement with your own profile. If your profile is large enough, you can end up being the “featured comment”. As you probably know, standard Instagram Stories stay on your profile for 24 hours. But let me guess, some of your stories deserve a bit more attention than that, right? That’s where this new Instagram hack, known as the Highlights feature, is perfect. Under the Story Highlights tab, click the + symbol. Select any number of stories you want to highlight. Name your Highlights and select a new cover image (optional). Click Add to publish the new Story Highlights. A new story will appear on your followers’ feeds for the next 24 hours. After that, the story will stay live on your profile permanently or until you remove it. To remove a Story Highlight, tap and hold the icon on your profile. Instagram highlights are also a great Instagram hack because they encourage profile visitors to engage with you! Pro tip: Make sure to check your profile settings to ensure your stories are saved to your archive, rather than deleted. This will give you a backlog of content to work with when creating highlights in the future. This might not seem very important, but it’s actually super handy when you’re trying to push out content quickly. Filters are a great way to add some life to your content, and even brand it in a certain way. Start posting a new picture or video. Go to Filter, scroll to the end, and select Manage. Drag and drop your filters in the order you like, then hit Done. Remember that you can also remove filters that you don’t use. This helps clean up space when posting, keeping the process simple and fast. 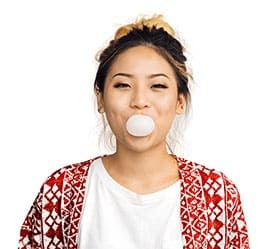 There’s been a lot of discussion surrounding Instagram’s updates to its algorithm, and how it affects user reach and influence. But never fear! There are ways to hack the Instagram algorithm so you can continue to take advantage of all the platform has to offer. Click the Heart button at the bottom of your feed. Tap the Following tab on the top left. This will show you the specific posts and accounts your followers are engaging with. This is a great tool if you’re looking for new accounts to follow, or to get ideas for the kind of content that most captivates your audience. Whether you’re dealing with a troll or offensive comments from another user, filtering comments is a great way to clean up your posts and keep everything looking friendly. Go to the Options screen on your profile. On IOS, the Options button is marked by a gear. On Android, it’s marked by 3 dots. Turn on the option to Hide Offensive Comments. 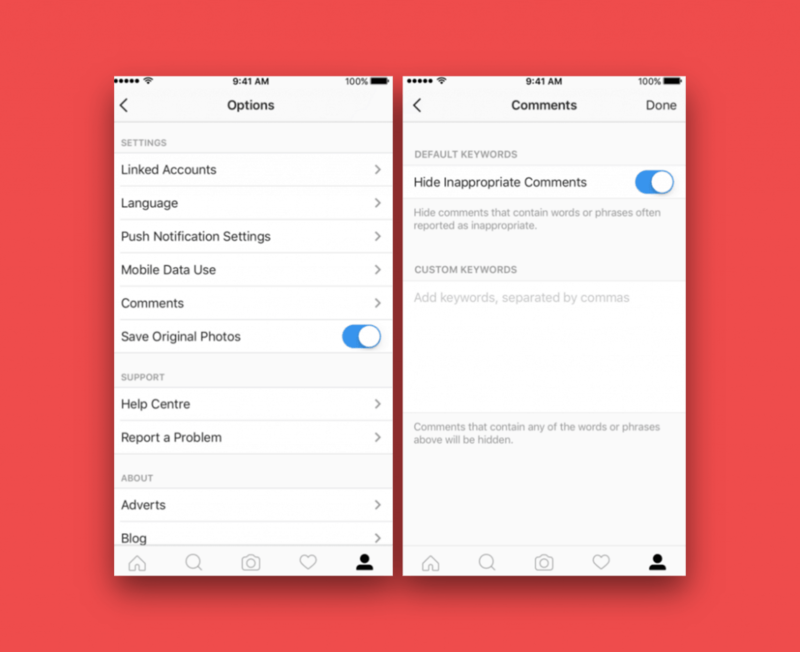 This will automatically hide comments that contain words or phrases that Instagram detects as offensive. Think about blocking offensive words or spam automatically. Pro tip: You can also customize this feature with a list of words you personally find offensive. Instagram Hack 6: Got a Photo? Why Not Turn It Into 3! The first is to post a #triplegram, as made famous by Kourtney Kardashian. Kourtney regularly shares 3 related images consecutively, so they take up an entire line on her profile. Alternatively, you can cut a single image into 3, 6, or even 9 separate images. 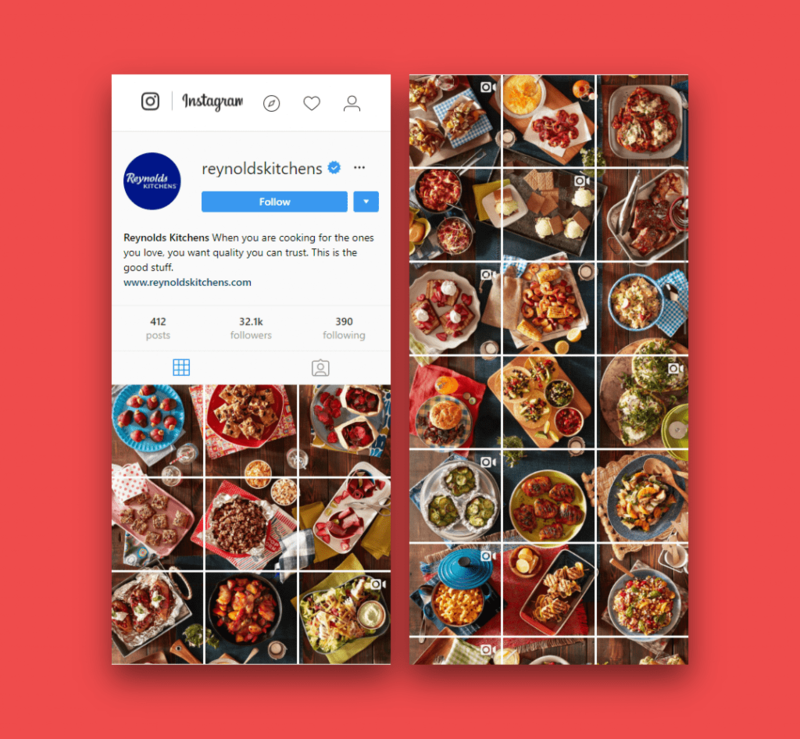 You’ll see this a lot on the profile of Reynold’s Kitchens (@reynoldskitchens). This obviously takes a bit more time and practice, but is a great way to make your profile look cohesive. This might not be a hack of Instagram’s algorithm per se, but it’s a super important tip nonetheless. 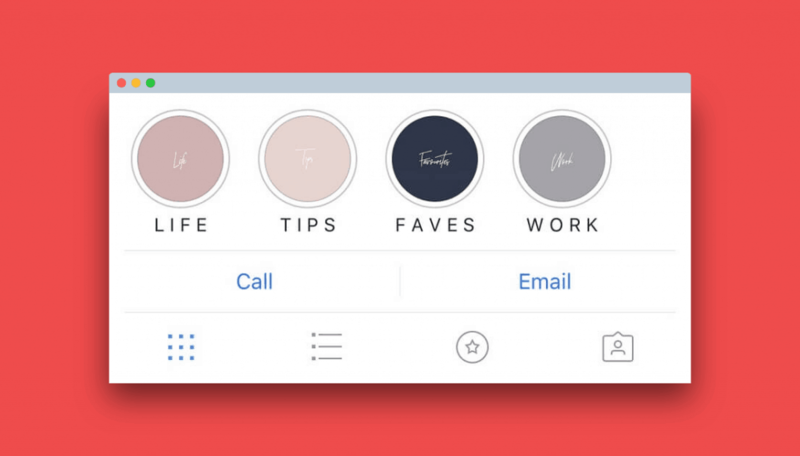 It can be hard to find a theme or style to characterize your Instagram account. However, being consistent is one of the best ways to build a solid following. There are many ways you can be consistent on Instagram. One way is to upload content relating to a specific theme. Another is to use the same filters/edits on your pictures and videos. Anna Lena is an artist from the Netherlands offering freelance design and illustration services. Juniper Oats is the Instagram account of the designer and illustrator Judith. She creates designs and artwork inspired by the minimalist movement in Scandinavia. Go to the Options screen from your profile. Select Original Photos and make sure you’ve turned on Save Original Photos. Take a photo or edit an existing one on Instagram and post it. You’ll get an error message saying that the post failed, but the edited photo will save to your phone’s image gallery. From there, use it however you please. There’s nothing worse than finding an unflattering photo of you and your friends hailing a cab at 4:30am with a kebab hanging from your mouth on your professional profile. Unfortunately, if anyone tags you in a photo, Instagram will automatically add it to your profile under Photos of You. Luckily, you can change that by manually adding tagged photos to your account. Go to your profile and hit Options. Scroll down and select Photos of You. From now on, any photos you’re tagged in will need to be approved by you or your account manager before they’re added to your profile. Pro tip: You can also use the Hide Photos option to browse through your tagged photos and hide the ones you don’t want to be shown on your profile. Instagram Hack 10: Start Going Live! 1. For big announcements, make sure you plan your live videos in advance and share the details of when you’re going live with your followers. 2. For less important updates, it can be a good idea to go live unannounced. Your followers who receive notifications from you will see when your video starts, and may be intrigued by your lack of prior notice. 3. Save your live videos. Do this by hitting Save after your live session ends. You can rehash this content later. Interested in growing your Instagram audience, but don’t know where to start? Upleap provides dedicated account managers to push your profile into high-gear. We offer a no-commitment free trial that sets you up with an account manager, who starts growing your Instagram with organic followers. 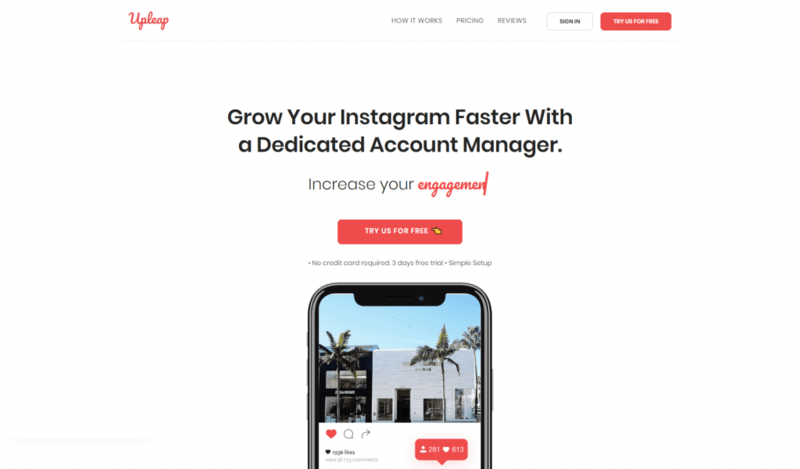 If you’re ready to let us do the heavy lifting, learn more about how you can get more Instagram followers with us and then sign up for your free trial!